Love is the big matter of life for everyone, for the art, for the whole world. At the closing of Gefso’s Papadaki exhibition, “l ... as love” which is going to take place on Friday, 12 April 2019, 21.00, at Cube Gallery, love images will meet words of love. 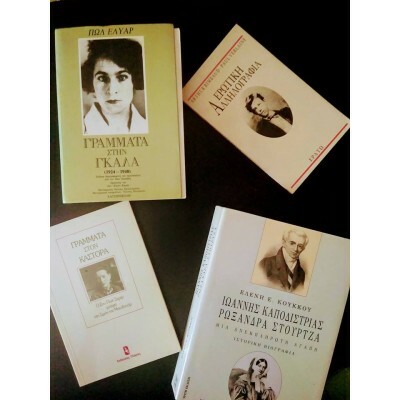 Words and passions of famous people of art will breathe again, through letters, billets-doux and poems that will be read by: Labrini Zotou, Giannis Kolomvos, Nikos Liberatos, Erifili Parparousi and Palaiologos Xalidas. “Nothing compares to your hands, nothing like the green-gold of your eyes. My body is filled with you for days and days. You are the mirror of night. The violent flash of lightning. The dampness of the earth. The hollow of your armpits is my shelter. My fingers touch your blood. All my joy is to feel life spring from your flower-fountain that mine keeps to fill all the paths of my nerves which are yours”. “And if I’m writing to you like this, it is not for you to understand me, but to feel me a bit closer to you, as, if it was possible, to caress you. Nothing else”. It will also give us such pleasure, if anybody from our guests, who owns an interesting personal love letter, would like to share it with us, in “love letters”.